Genealogy is an art and a science. You spend time searching out bits of information like a scientist. Then, like an artist, you arrange these bits together to tell the story of an ancestor. If you are like me, you have many family files (electronic and paper) where you store documentation. You may also work on a couple of family lines at once (even though many genealogical gurus suggest concentrating on one line at a time). And if you have been interested in your family history for a while, your research been going on for several years. Over the years, we genealogists collect evidence about our ancestors’ lives, but this process often happens in dribs and drabs. We may find a birth record for someone one year and nothing else for two years. Then suddenly a death record for that person appears on a database. This is the time to revisit our family file. Take time to reread and review everything that we have found on this ancestor. We may see connections in view of the new information on the death record. As we rethink any conclusions, beliefs, theories that we have made before on this person’s life in view of this new information, several things may happen. We may discard part or all of a former belief or we may find new evidence that solidifies a theory we hoped was true. So, the first reason for the 3 R’s is that genealogical research is an on-going process with new information showing up at anytime that is then added to the cumulative file. The second reason to revisit, review and rethink our family information is a fact of the human brain. It seems that no matter how closely we study records that we find, we often miss some fact or another. And on the second, third or fourth reading (spread out over time), a piece of information will suddenly jump out at us that we have overlooked before. Or something we have read over and over will take on a new significance due to some new record we have found. A big part of genealogical research is consulting online databases, such as FamilySearch.org and Ancestry.com, to name two of the largest and most commonly used. These databases are not static; new additions are regularly being added to the collections. An example is the 1940 US Census that has just been released and will be added. This ever evolving nature of databases is the third reason for the 3 R’s – we need to revisit and review the genealogical record collections for each of our ancestral lines in order to be sure we don’t miss new information. We need to rethink our search parameters. Who knows what exciting family facts we can uncover. This is what happened to me recently. I have searched Ancestry.com for information on my paternal great, great grandfather, John Kreis several times over the years. I have searched under “John Kreis” and just “Kreis” in the general search window. I have located John in several census records and in a naturalization record. I learned that he was born in Switzerland but I have not yet found what village/town he was from. 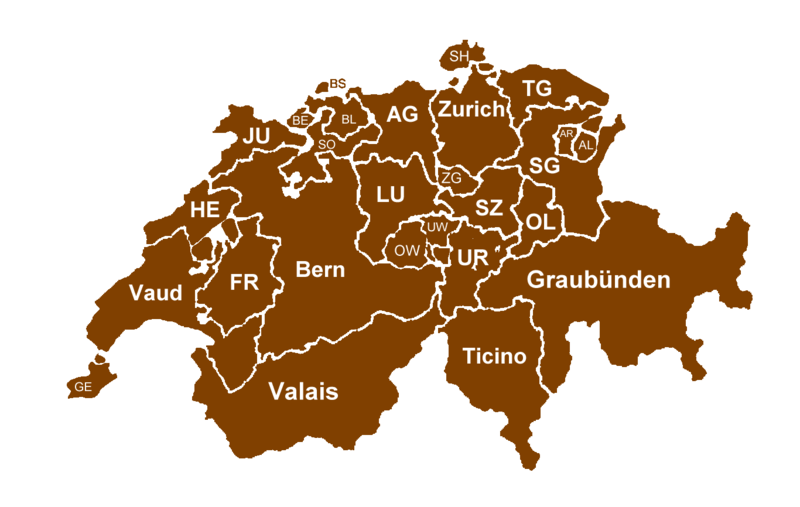 In my post of 2/1/2012 I discussed looking at old Swiss birth records in FamilySearch.org for men named “Johannes Ulrich Kreis” (which is my John’s original German name) and discovering that all of these men were born in the Thurgau District of Switzerland. This gave me the idea that my great, great grandfather was likely born there also. But I needed more documentation. What about military records? In the past, I searched on Ancestry under military records and found a WWI draft registration card for John’s son, Henry Kreis, who was my great grandfather, but not a card for John Kreis. Here is where the rethinking comes in. Why not try a search for a WWI draft card under a different parameter? What about widening the search for any man with the last name of Kreis and the birth place of Switzerland? Maybe I could find a cousin/uncle of my John whose records might have more detail than John's. Maybe I could find the district or even village in Switzerland where the Kreises came from. Back to Ancestry.com. On the search tab on the first screen, I moved my mouse to “search.” On the drop-down menu, I chose “military.” At the bottom of the next screen, I clicked on “US WWI Draft Registration Cards, 1917-18.” When the search screen came up, I put only “Kreis” in the “Last Name” field and “Switzerland” in the “Birthplace” field. “George Kreis” appeared at the top of a long list. He was from “Hoboken, Hudson County, New Jersey.” Now this was interesting. My John Kreis had lived in Essex County, NJ which is adjacent to Hudson. When I clicked on the name “George Kreis”, his draft card came up. His place of birth was Switzerland with a district given! It was St. Gallen. 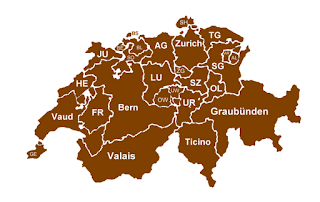 A look at a Swiss map showed St. Gallen (SG) to be the district next to Thurgau (TG). I decided to do some more digging in the Ancestry Swiss databases. This led me to the Swiss Overseas Emigration, 1910-1953 database and this is where I struck gold. I found the emigration card for George Kreis and on this document was written the Swiss village where he was born. It was Neukirch in the Thurgau District! His last place of residence before he emigrated was St. Gallen. So now I had a person to research who shared a surname with my ancestor, who lived in the same area of NJ, and who was born in the area of Switzerland where I theorized my ancestor came from. This new and crucial information led to another discovery – a living Kreis who descended from George. I will discuss this outcome in a later post. I had a whole new avenue to pursue because I followed the 3 R’s of genealogical research: revisit, review, and rethink. Try it and see the benefits for yourself.